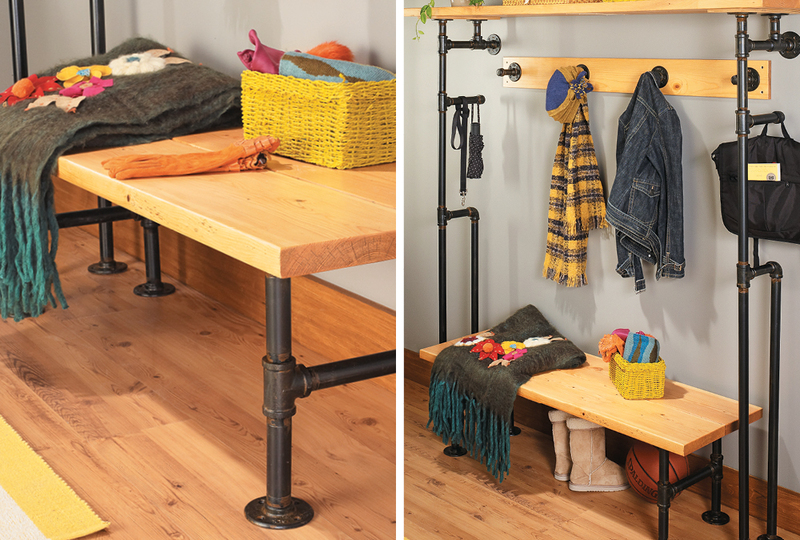 You can find pipes and pipe fittings in any home center and now we've got two simple and stylish projects that take advantage of these readily available materials. 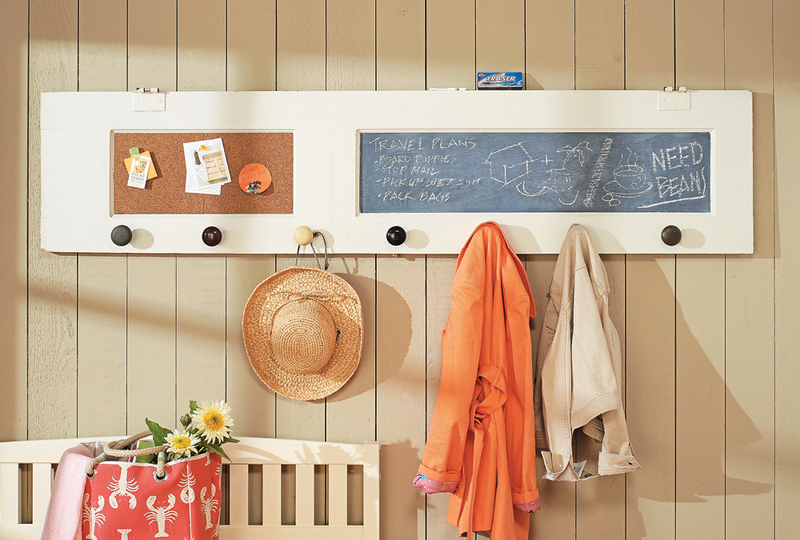 This mudroom storage shelf gets its unique and customizable style from unlikely materials: ordinary plumbing pipes and fittings. 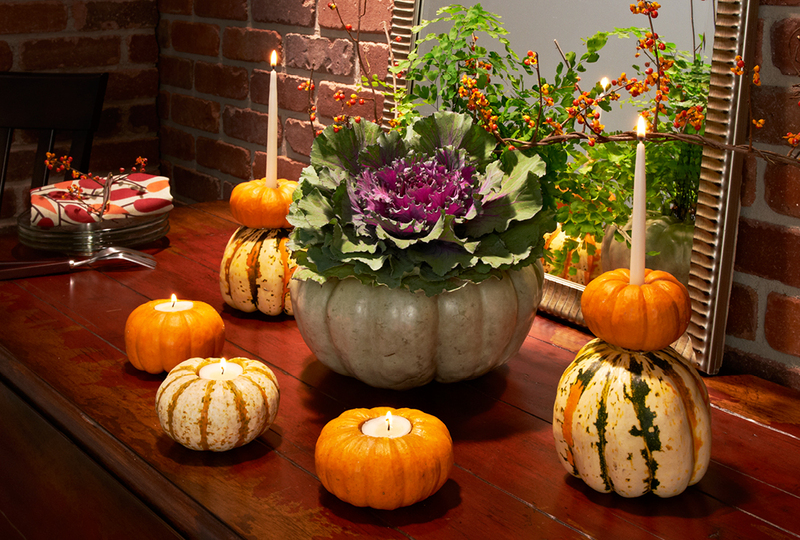 Decorate your harvest table with these simple candle votives. Plus, we’ll show you how to make a clever pumpkin centerpiece. 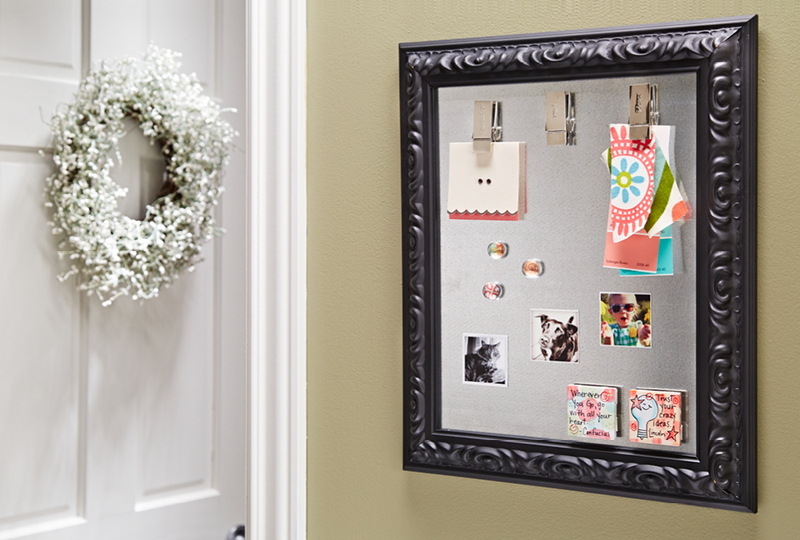 A store-bought picture frame containing a dressed-up cork panel makes the perfect “door” for an office supply cabinet. Choose any shape and style of frame you like! 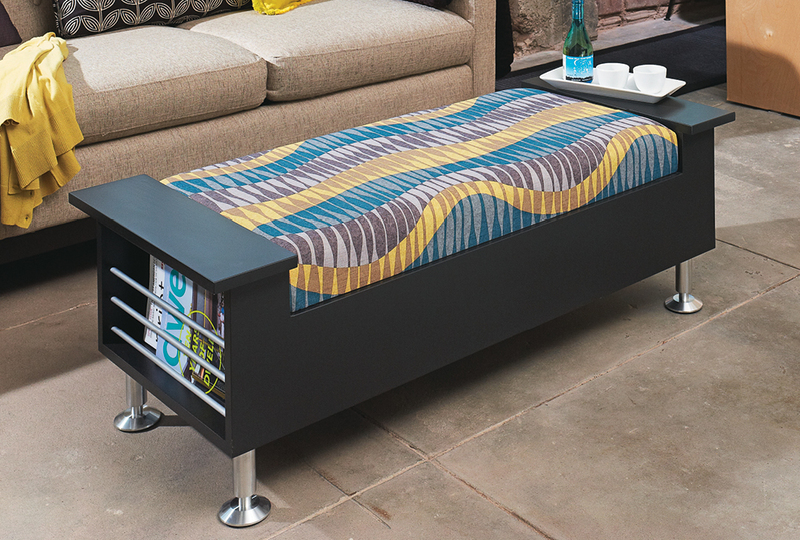 Don’t let appearances deceive you, this storage ottoman is easy on the eyes and budget. 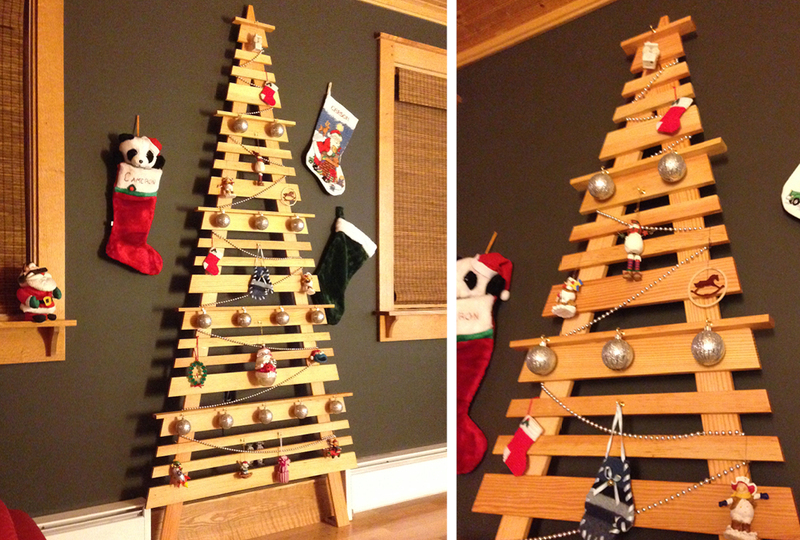 As an added bonus, it's simple to make with basic boards and hardware. Simple projects can produce impressive results, and this entryway makeover, which includes adding wallpaper and a wall frame made of molding, is a perfect example. 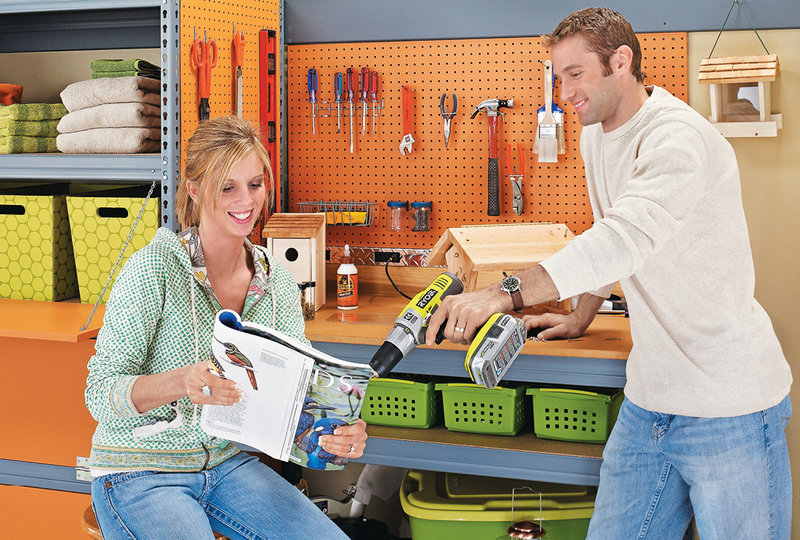 Transform your garage with a simple and sturdy surface for all your do-it yourself projects. 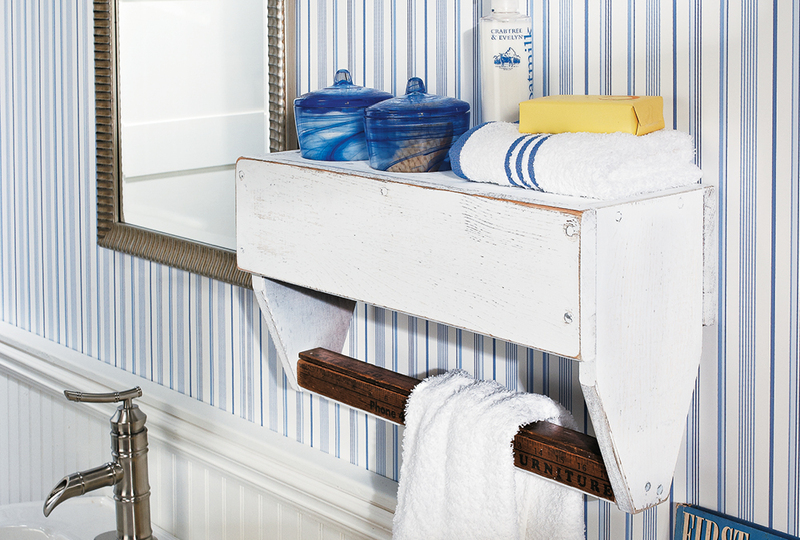 Top it off with a few wall mounted accessories for additional function. 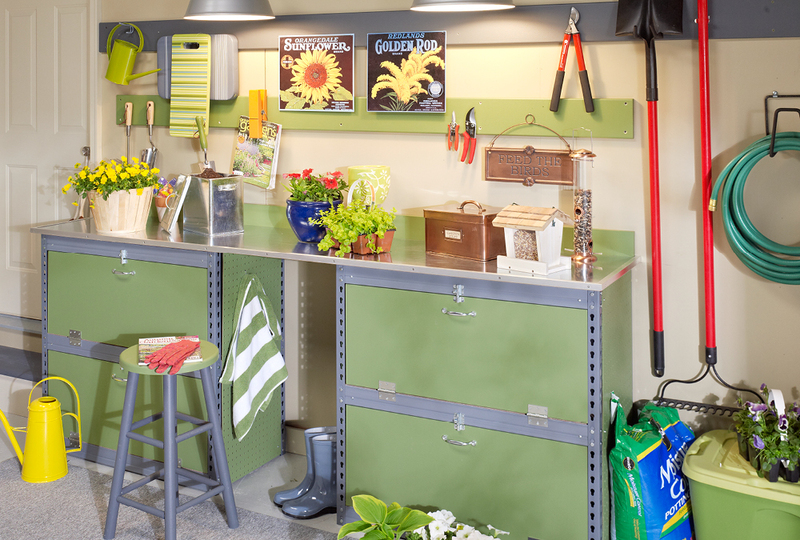 Who says garages can’t be stylish? It's easy to create a workstation with custom storage that mimics the look of high-end systems that are expensive and complicated. 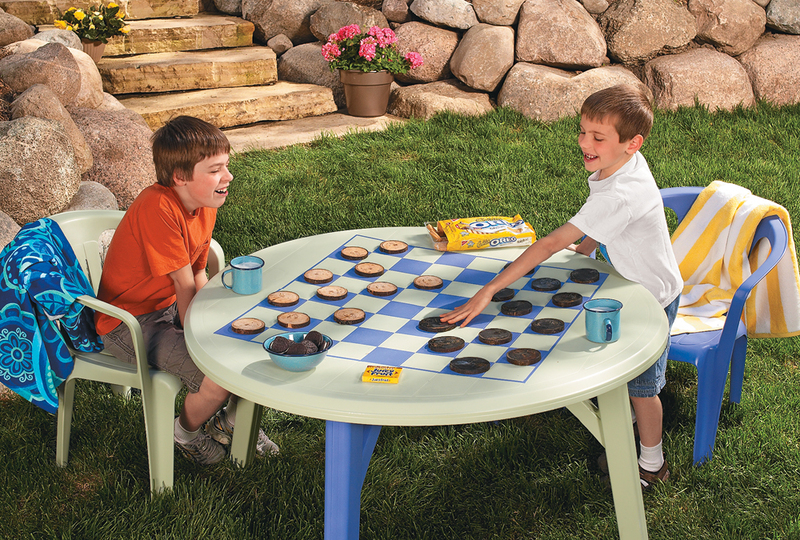 If you think making a table is tough, think again. 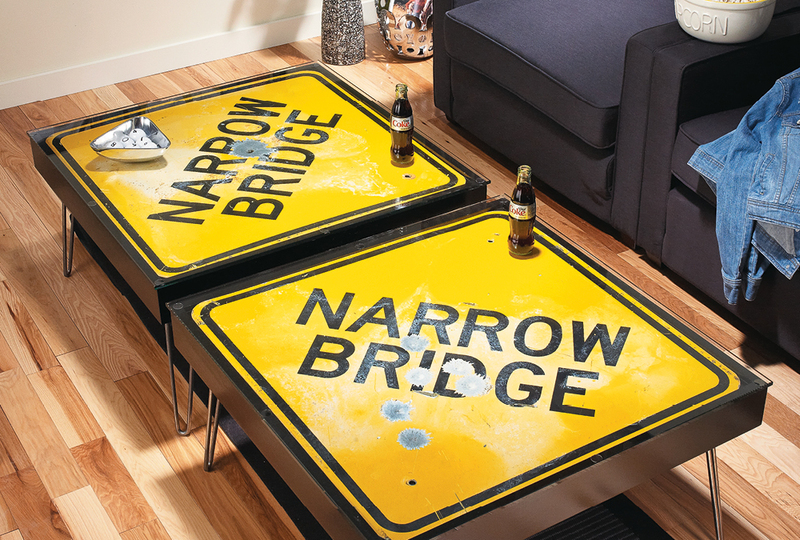 This project is a sure sign that you can create a fun, functional coffee table in no time at all. 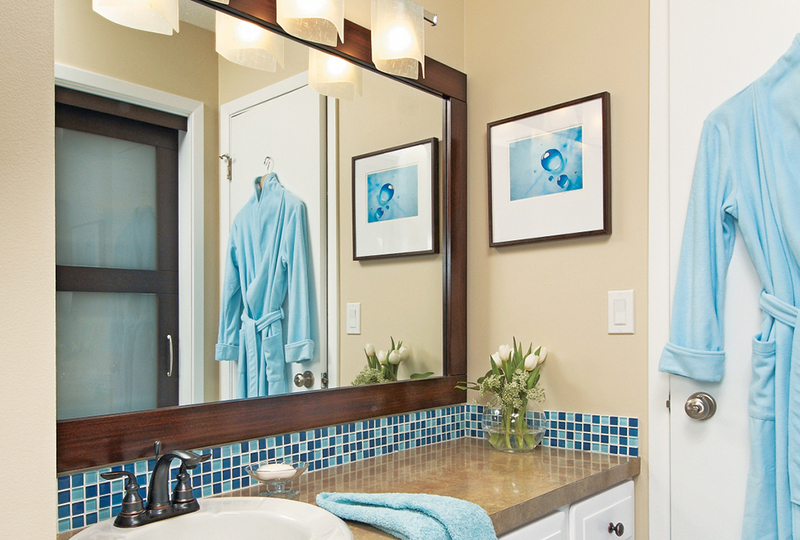 Update your bath in no time with an easy-to-make mirror frame. 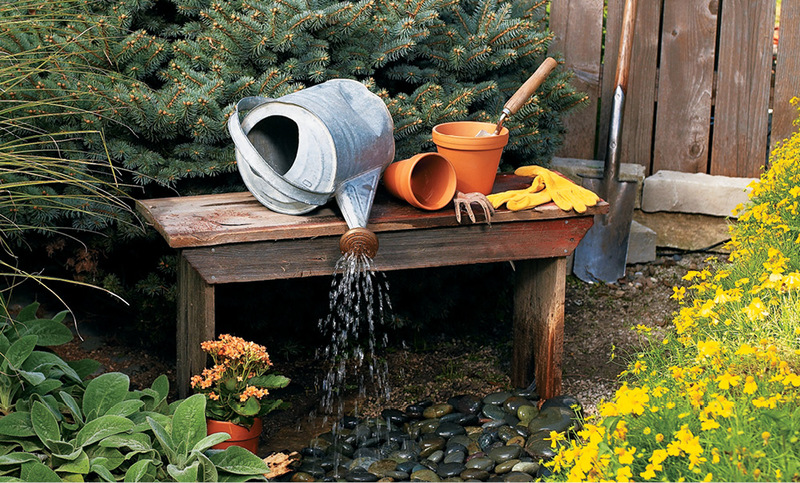 This project is inexpensive and sure to produce impressive results. 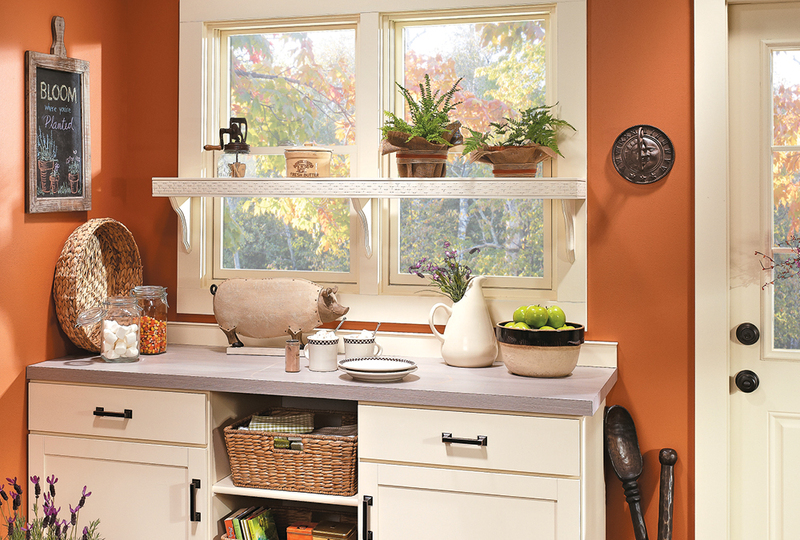 Give windows a unique treatment by adding a stylish shelf to display your favorite items. 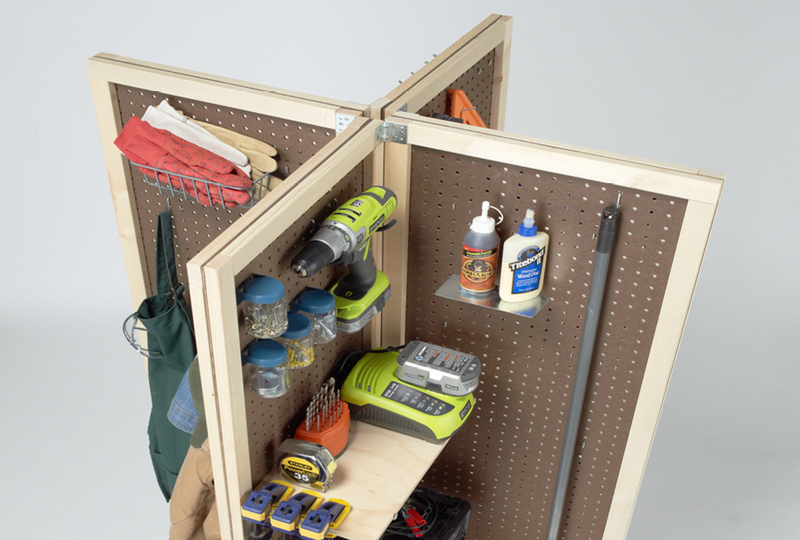 Even if you’re a DIY beginner, you can have a shelf like this in no time. Everybody loves a get-together! 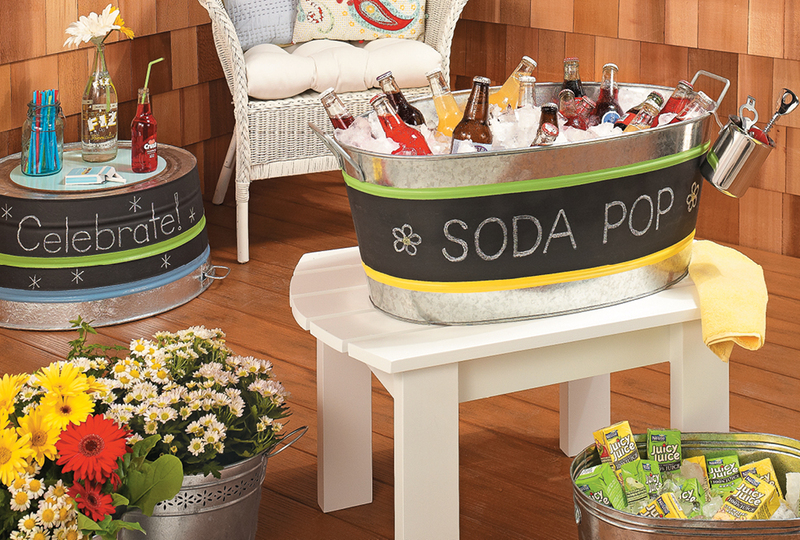 And to make your event truly memorable, we’ll show you how chalkboard paint can make hosting duties a breeze. 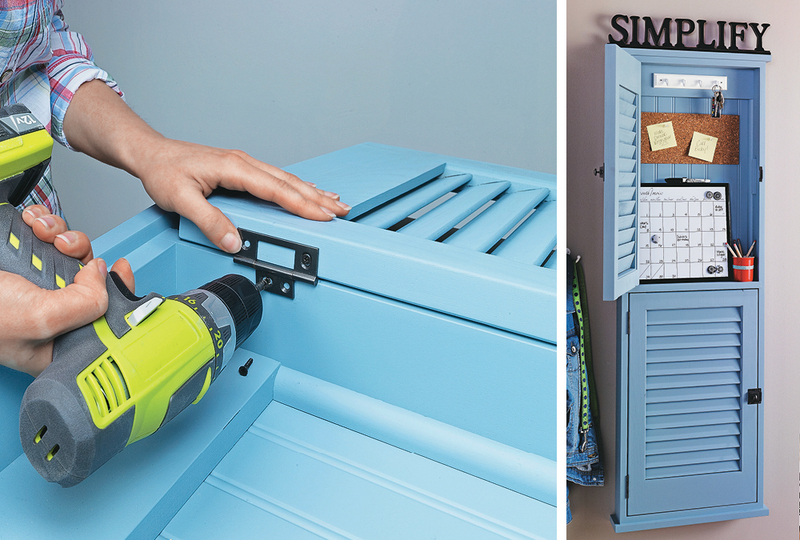 Flip an old tool tote to discover its potential as a handy shelf. 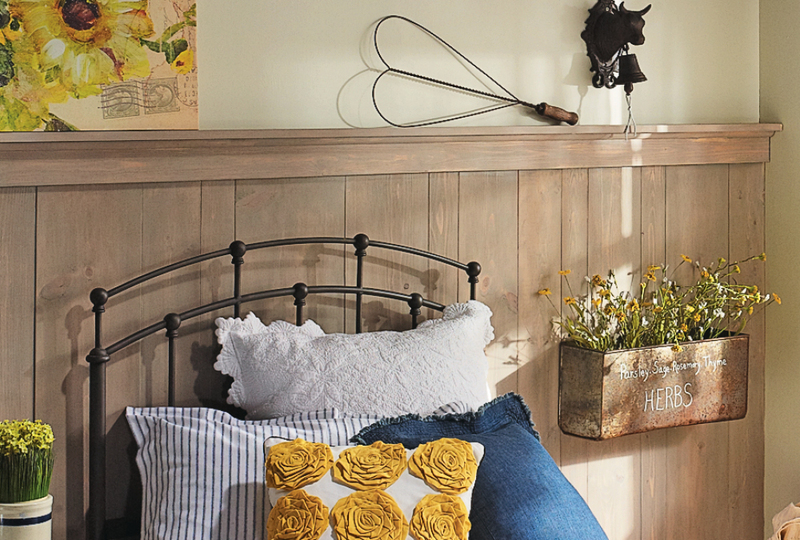 Give the shelf extra charm with cut-outs and antique embellishments! 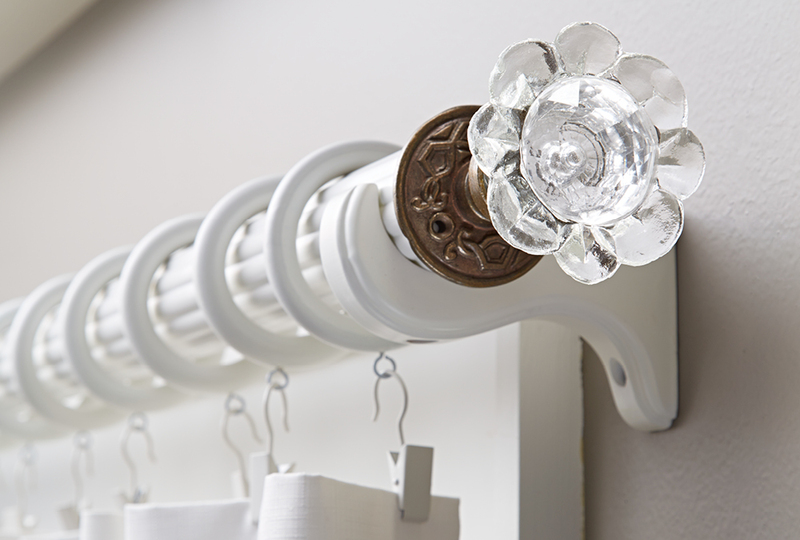 A store-bought curtain tie back adds contrast to a simple curtain rod and the look is easy to achieve with simple step-by-step instructions. 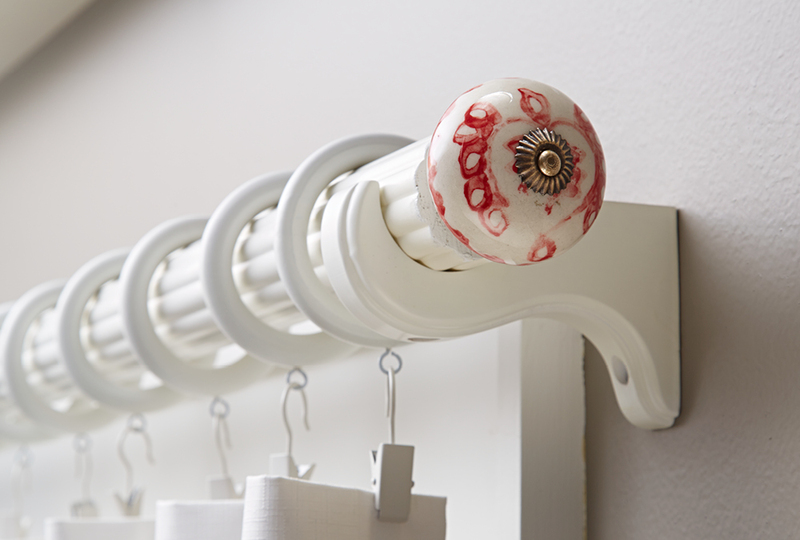 We've got a second customized finial option, and this time we're using an elegant glass door knob to cap off our curtain rod. 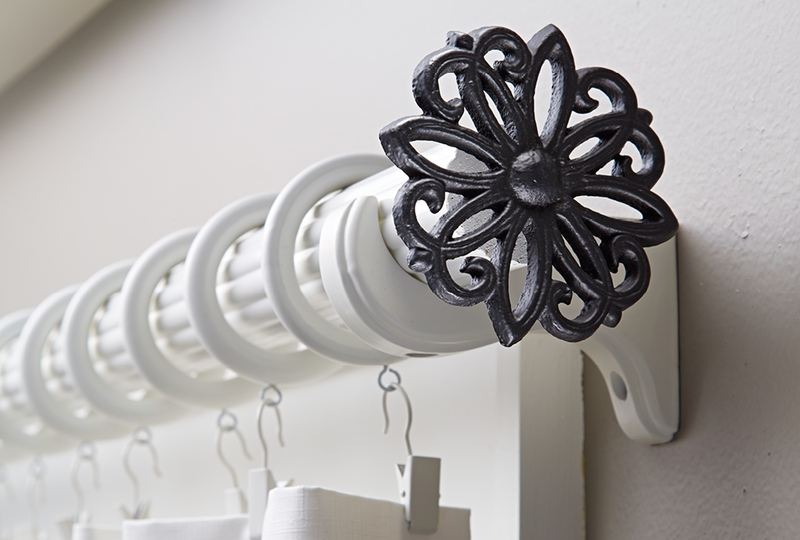 In the first of three posts about using hardware to create custom curtain rod finials, we'll show you how to use drawer pulls for an easy transformation. 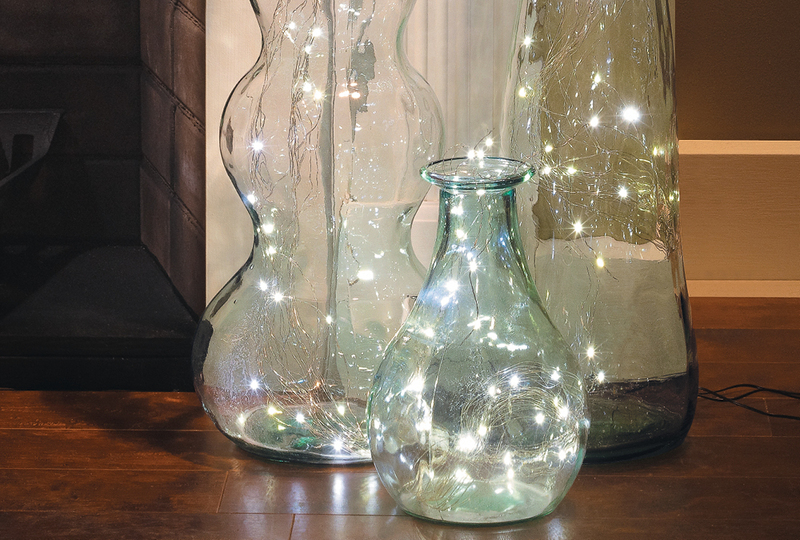 This is the time of year to add decorative accents outside your home. 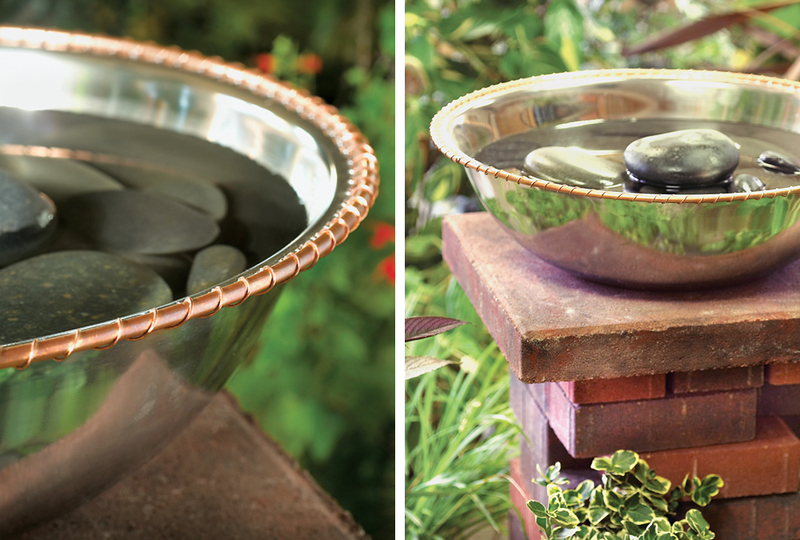 And the birds aren’t the only ones who’ll enjoy this simple DIY birdbath. 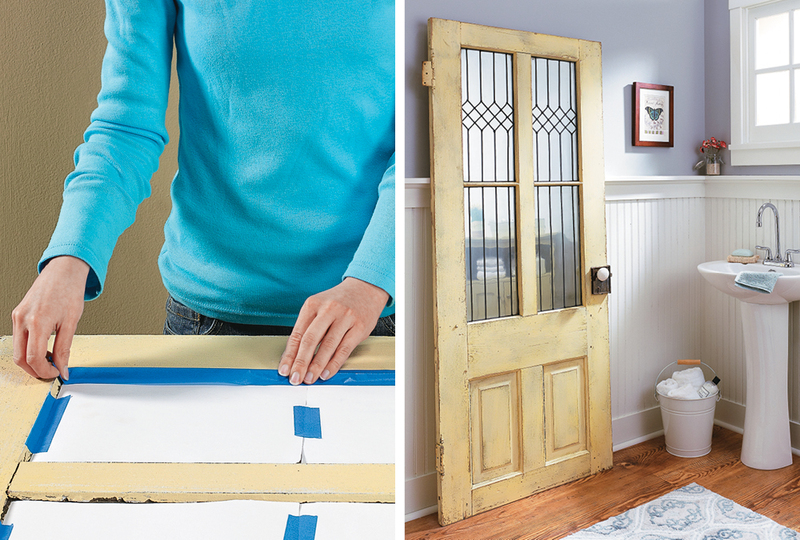 Transform an old door into a leaded mirror without it costing a fortune. Not only do we show you how, but you can downdload a free pattern and get started today! If you're like me you have loads of T-shirts that have sentimental value. 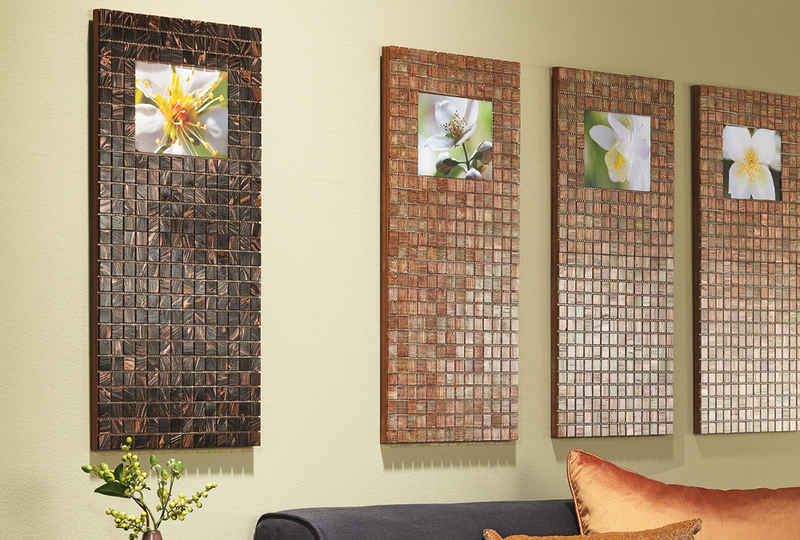 Don't toss them out, turn them into wall art in just three simple steps! How can you make your vacation memories timeless? 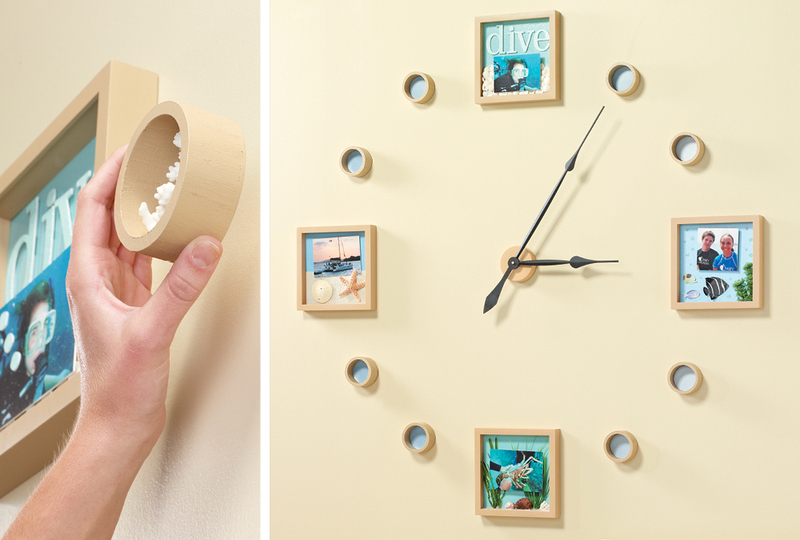 Create a keepsake wall clock with a few store bought shadow boxes and a clock movement purchased online. 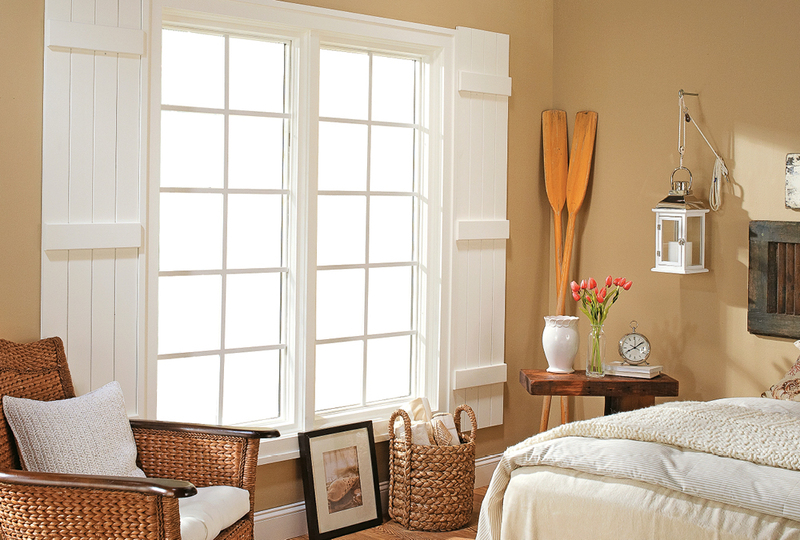 Create an indoor window treatment inspired by exterior shutters. 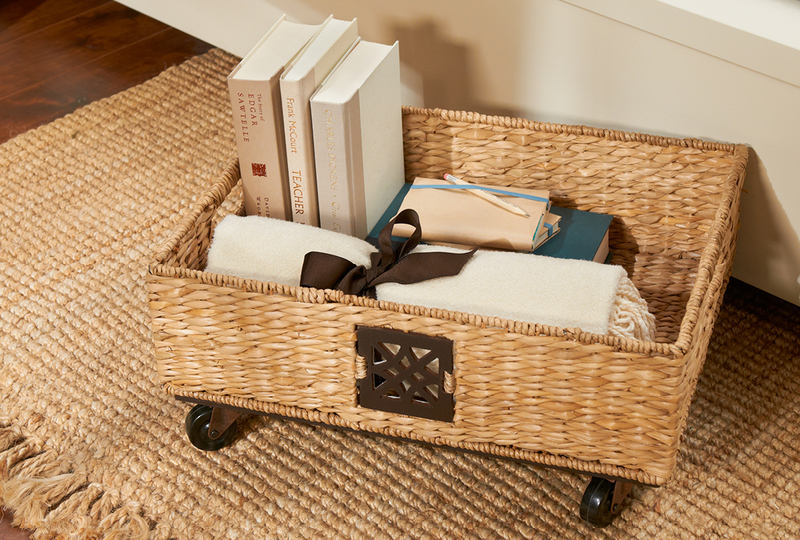 The customizable design adds a clever touch to coastal-style decor. 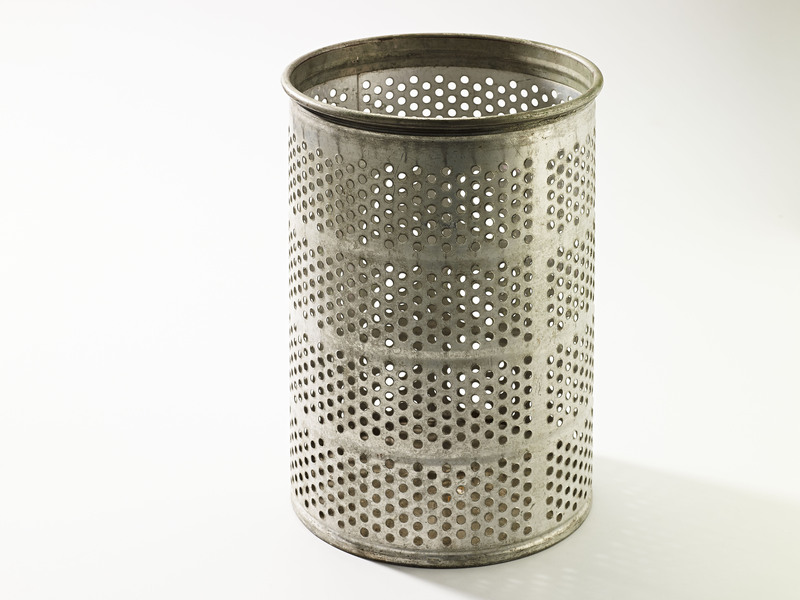 Yard and garden products made from plastic don’t always age gracefully. Now, you can make them look better than brand new with spray paint. Stash keys, notes, and small items within this compact message center. 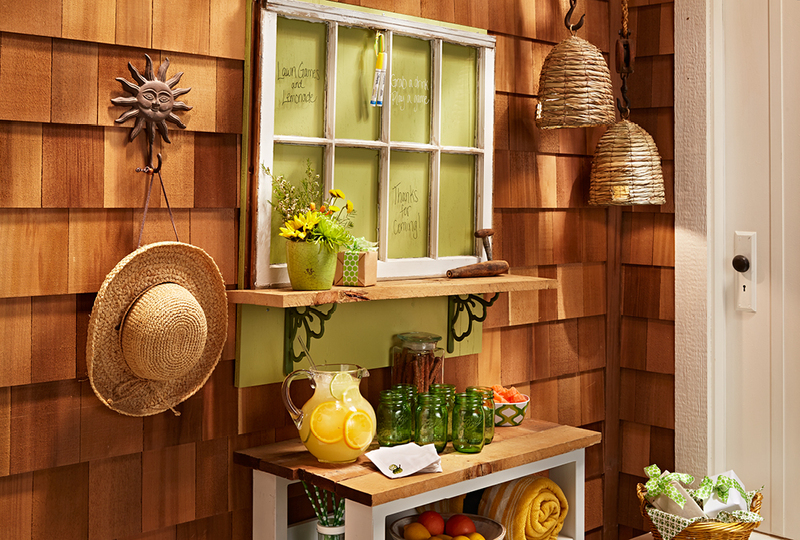 The best part: Doors made of window shutters conceal all the clutter! 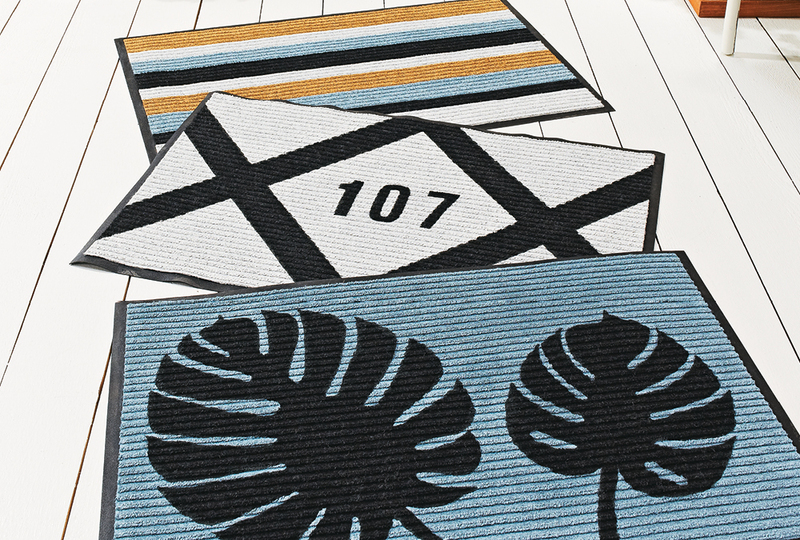 We'll show you how to give a budget-friendly but boring doormat a makeover with three different looks that are sure to bring smiles to all who cross your doorstep. 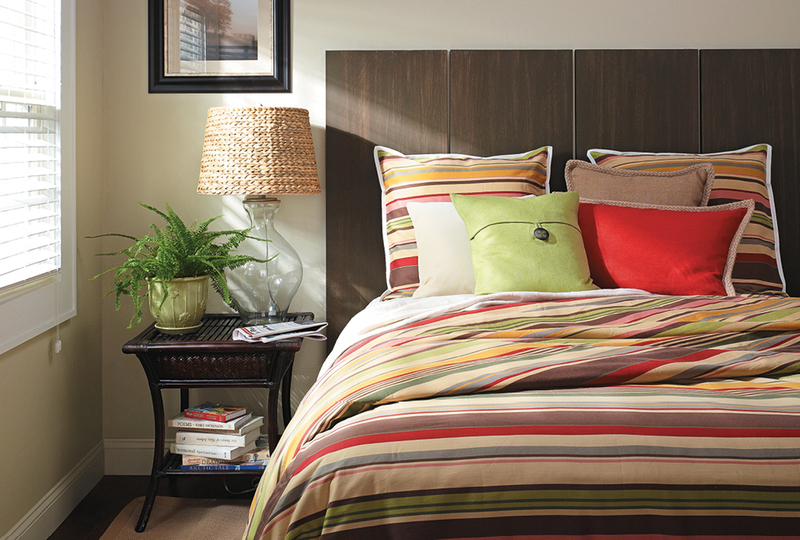 Welcome your guests with a cheerful greeting. Make an adorable owl doormat of your own with step-by-step instructions and a downloadable template! This dramatic alternative to 8x10s involves creative crops, supersized prints, and sleek DIY frames. 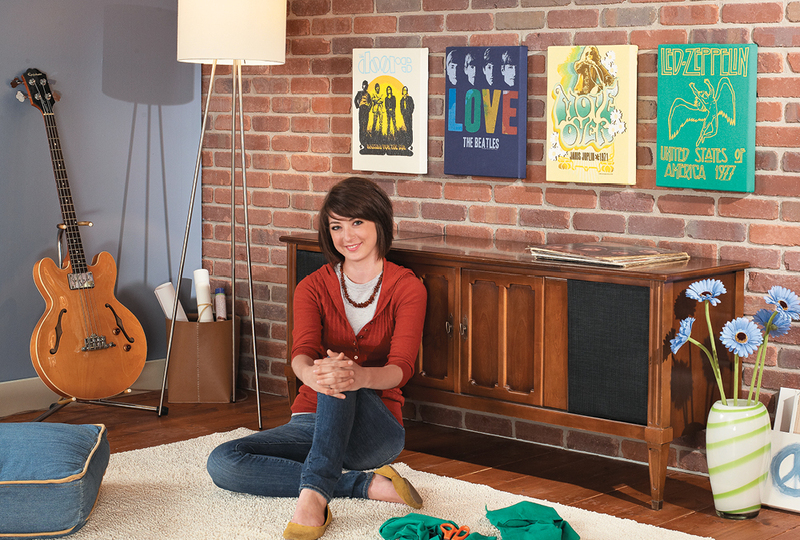 You can't get substantial wall art like this for less. Welcome your guests with dual-purpose door decor that's bright and cheery on the inside, and sleek and stylish on the outside! 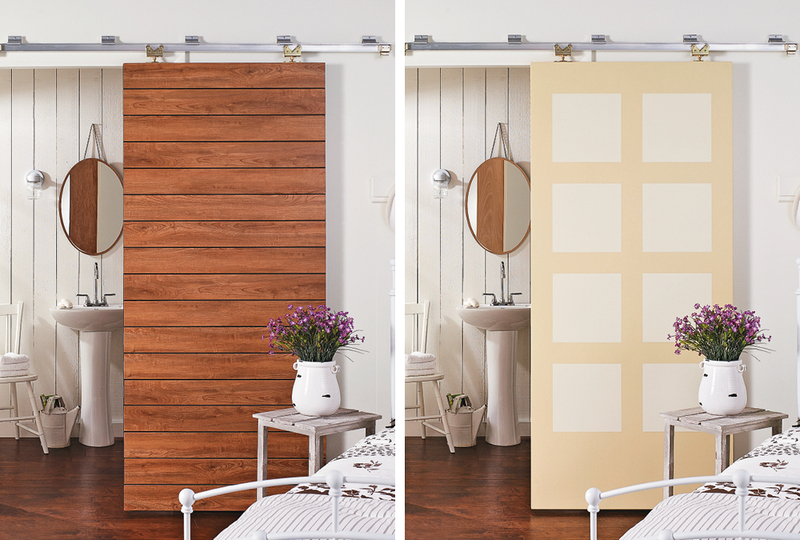 Add distinction and definition between spaces in your home by creating a room divider. 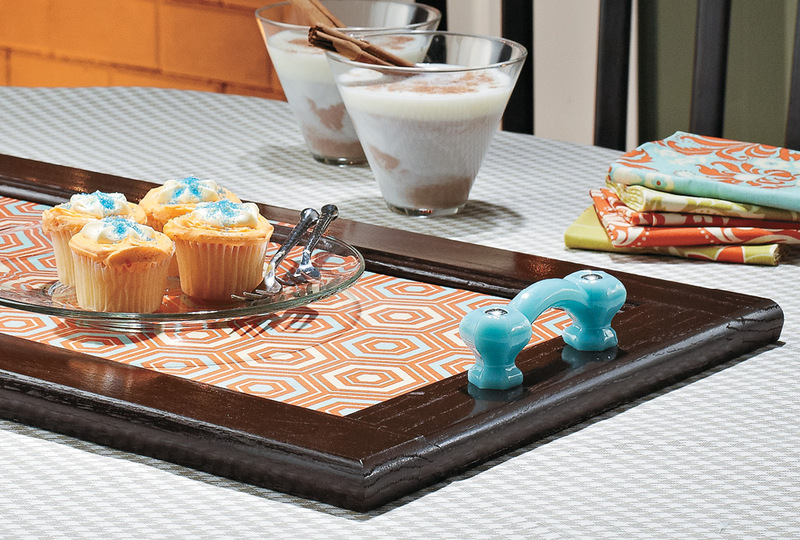 We'll show you how to make one from fun fabric and sleek hardware. 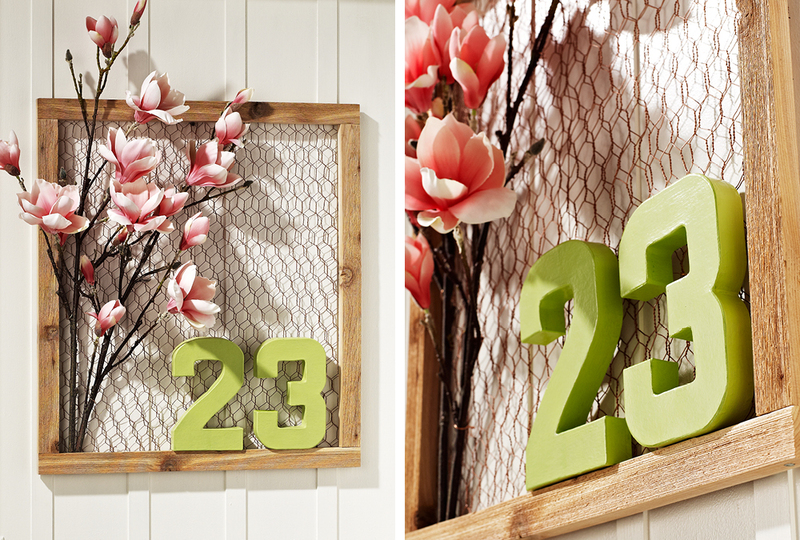 This charming door decor comes together with simple supplies such as cedar boards and wire netting. 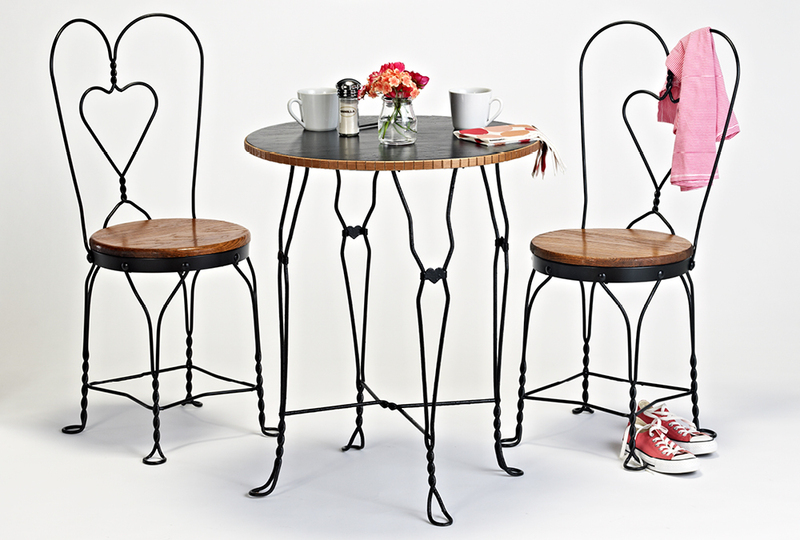 Who would have thought chicken wire could look so great? In a recent survey of what to do with a salvaged window, "hanging outdoor decor" won by a landslide. Check out what we came up with! 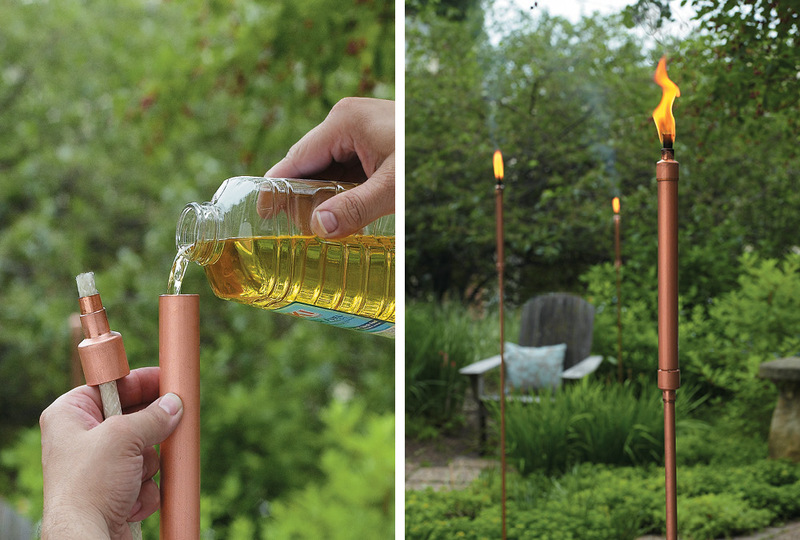 Every backyard can use a few patio torches. 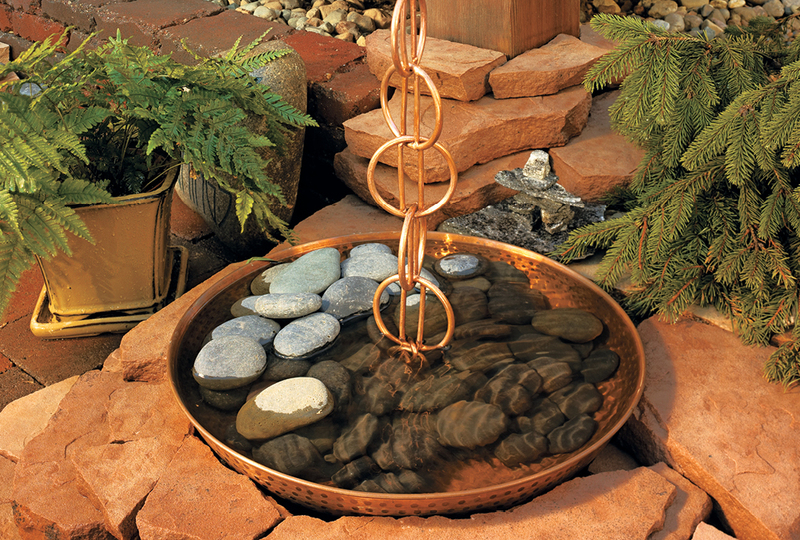 Learn how to make an attractive, high-quality set yourself using fixtures from the plumbing aisle. 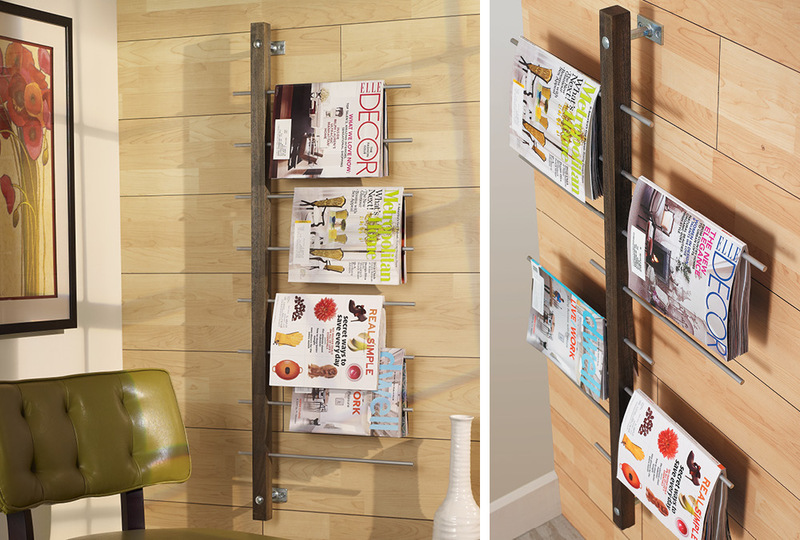 Organize your favorite magazines and make a style statement with this DIY magazine rack. 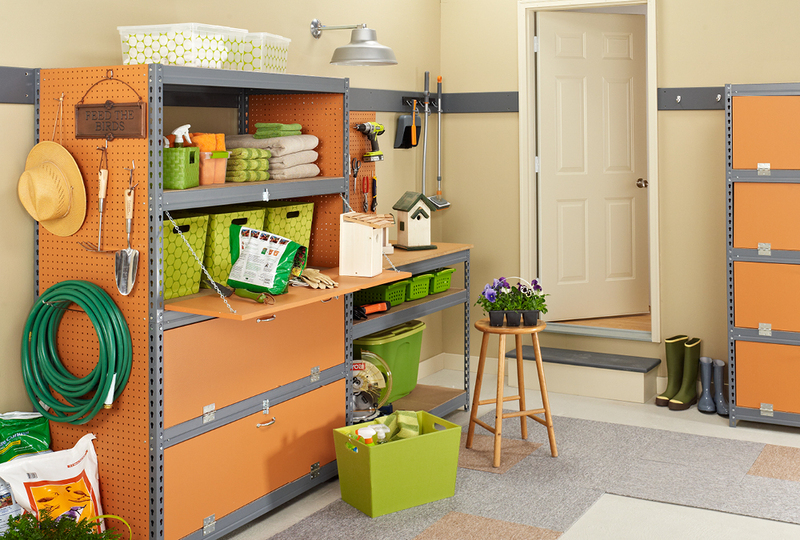 Hardware-store supplies lend an industrial look and keep the cost down. Spring is in the air! 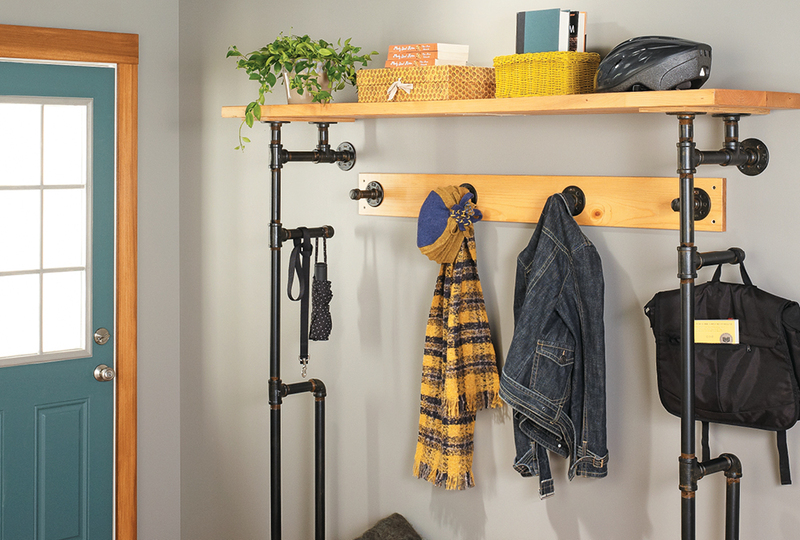 What better way to get in the spirit than to repurpose a salvaged door as a coat rack for your spring coats and accessories? 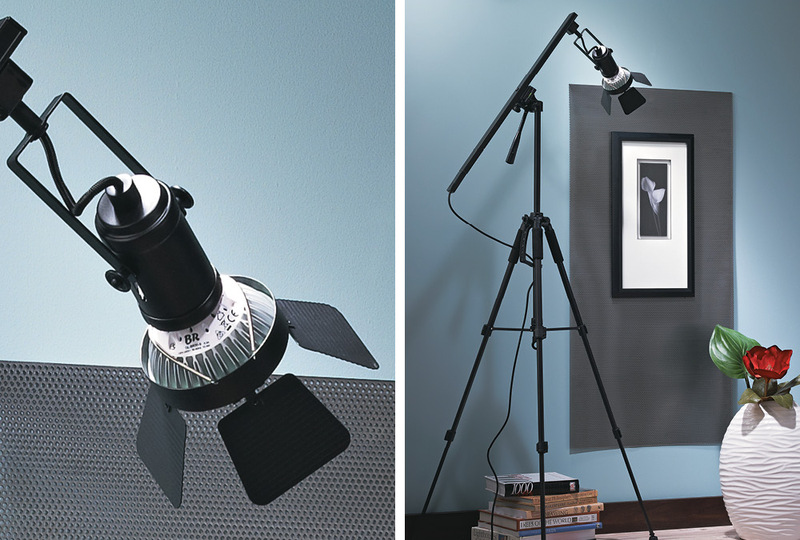 Ordinary track lighting from the home center (designed for the ceiling) becomes a stylish, free-standing lamp when you mount it to a camera tripod. 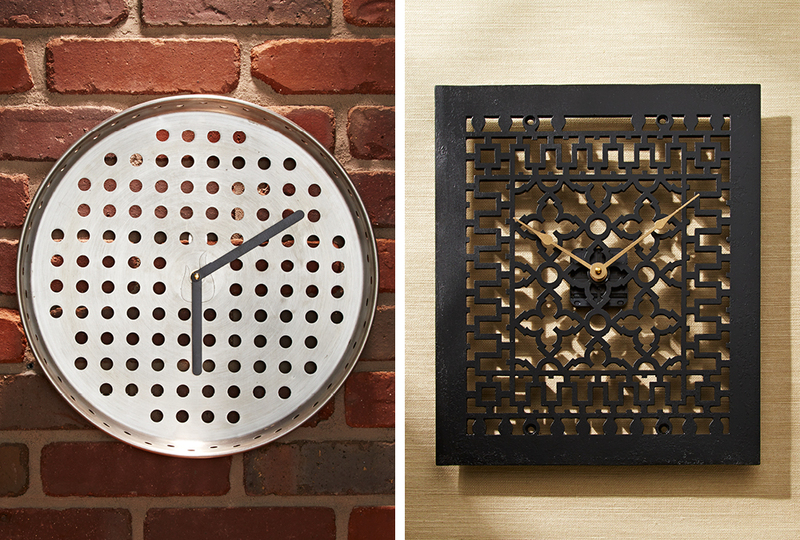 Find out how we turned a pizza pan and a salvaged vent cover into clever wall clocks. 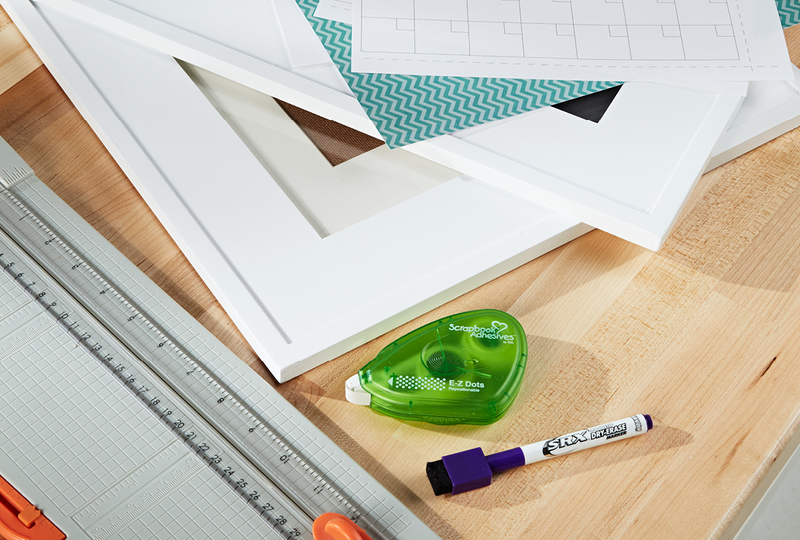 Follow our step-by-step instructions, and make a clock of your own in no time! 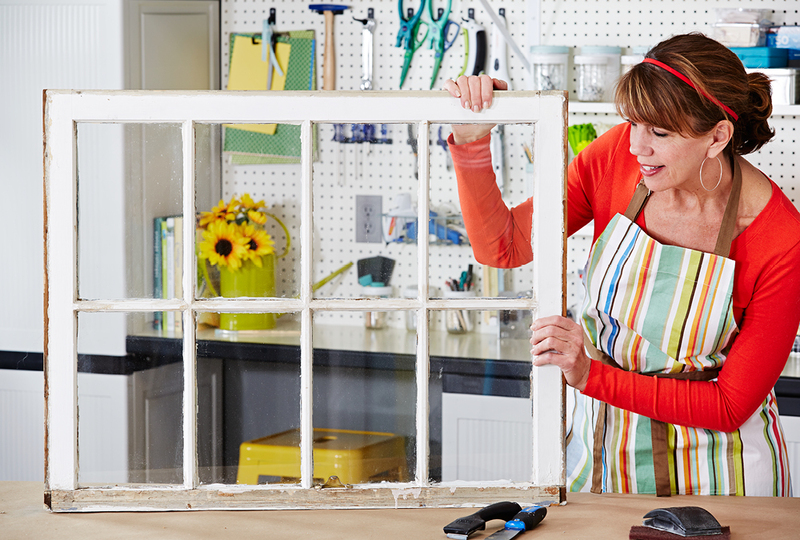 This 8-pane window is the perfect piece for a makeover, and we want you to tell us what it should be. Cast your vote! In a few weeks, we'll reveal the makeover. 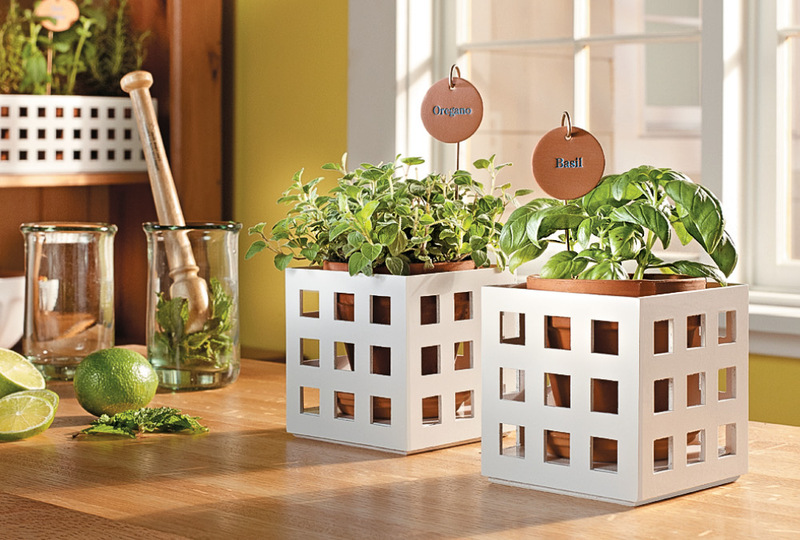 Give your indoor plants the decorative touch they deserve by dropping their practical terra-cotta pots into these garden-inspired surrounds. 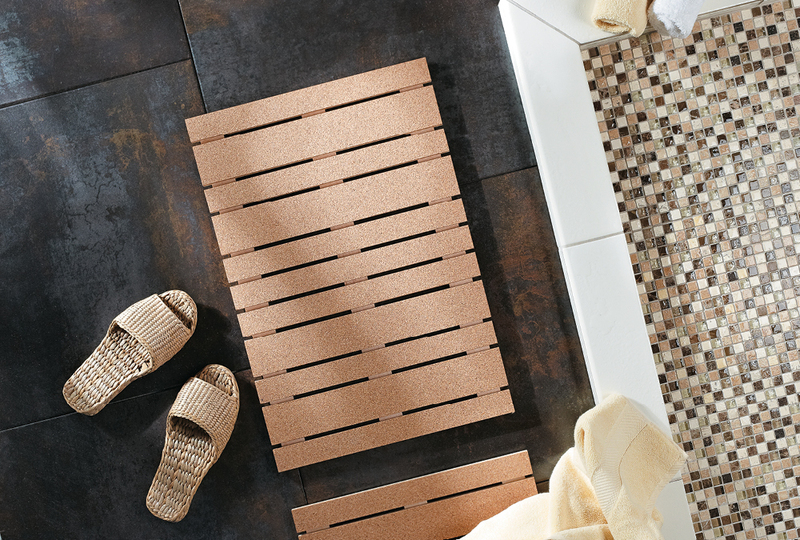 Swap a tired old bath mat for a classy one made of cork and wood slats. It's easy to make using craft wood, which comes in the thickness and widths needed. Ever look at pricey furniture in stores and think "I could make that"? You often can! 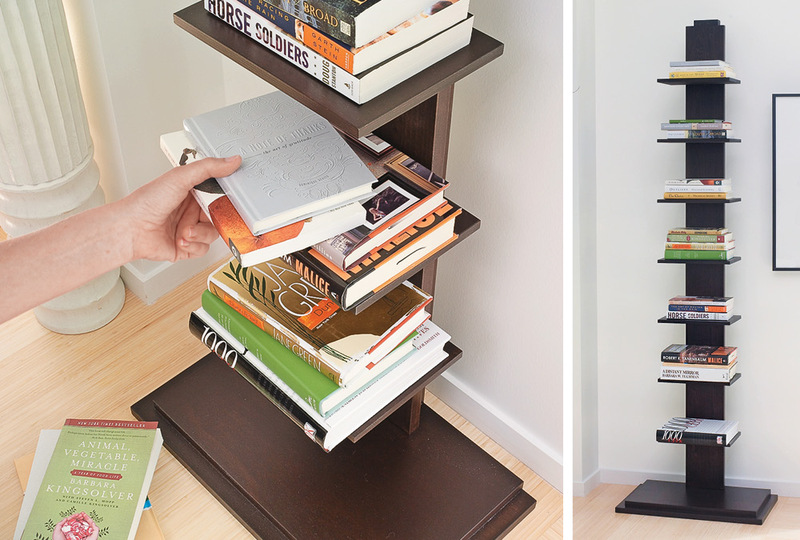 We designed this modern tower shelf to be built with modest DIY skills. 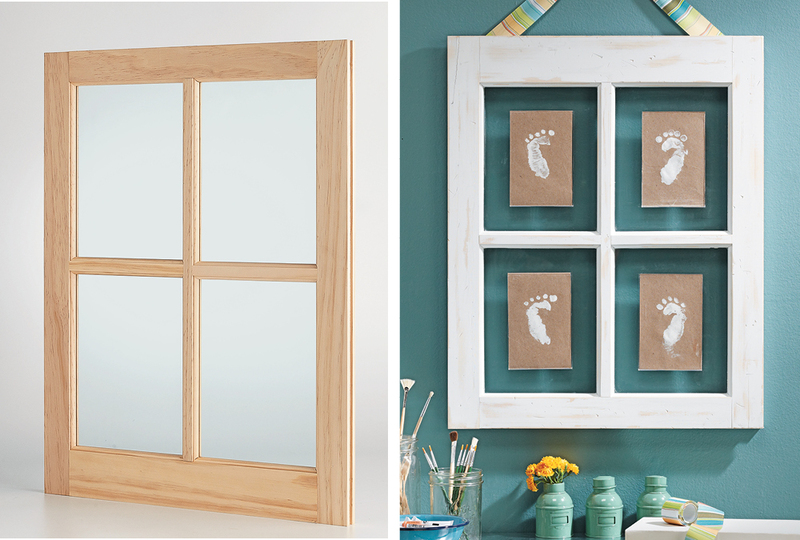 Turn a plain wood window into a personalized picture frame by giving it a distressed finish and making a couple of easy modifications. 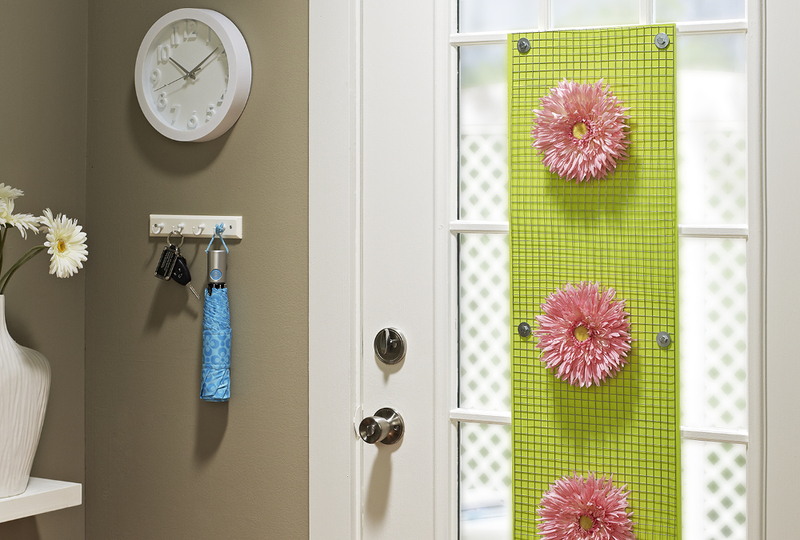 This decorative magnet board comes together with simple steps and inexpensive materials. Follow our complete instructions to make one of your own! 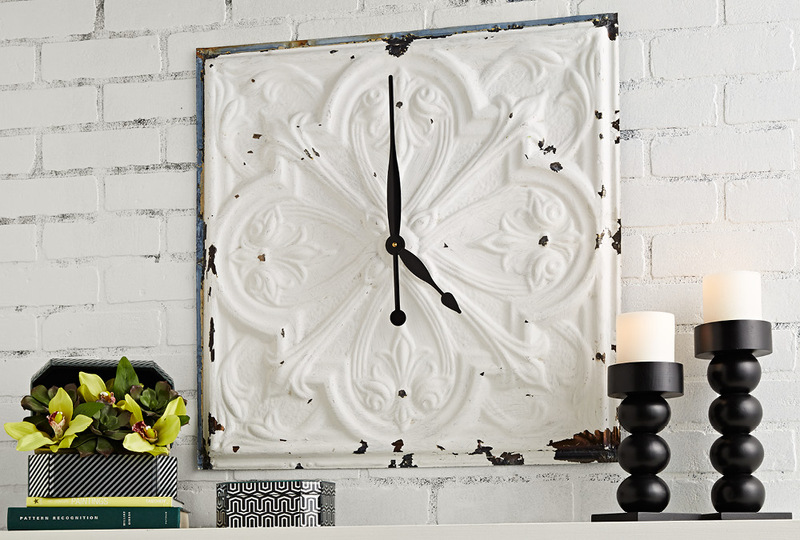 Repurpose an antique tin ceiling tile as the backer for a DIY wall clock. The process of adding the clock movement and hands couldn't be easier. 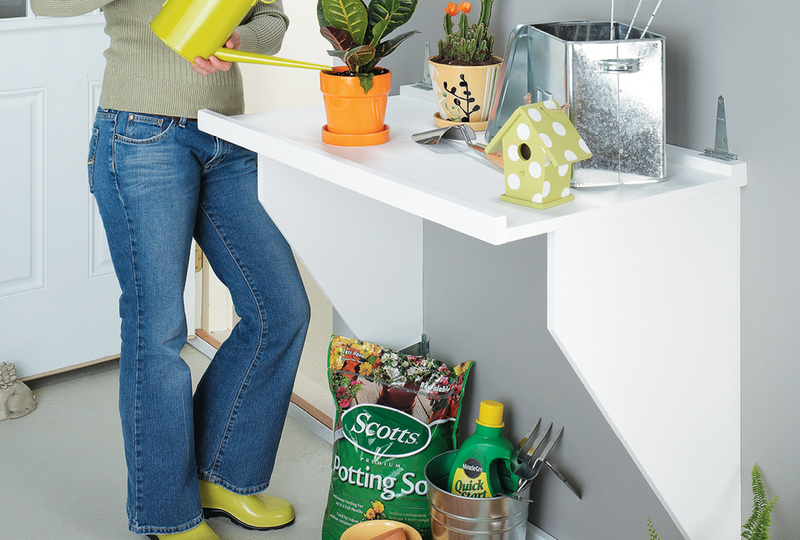 Bring the outdoors inside by installing an unobtrusive glass plant shelf in front of a window. 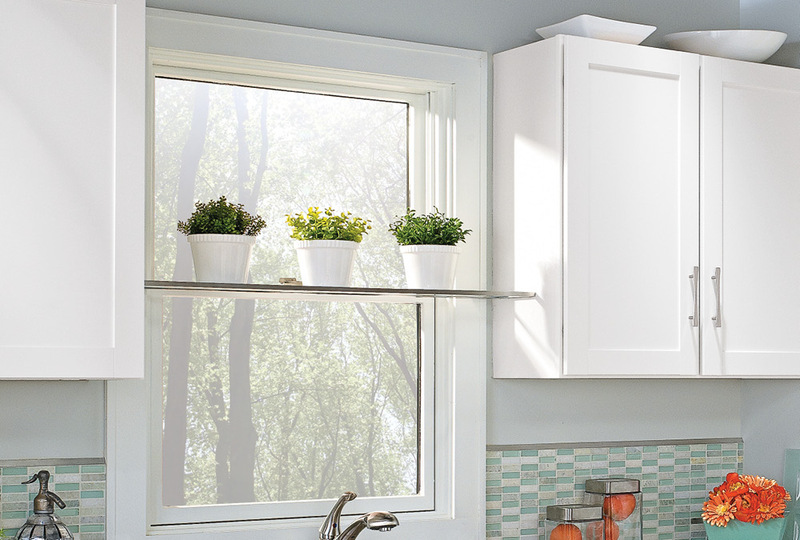 It's perfect for kitchens with a window above the sink. 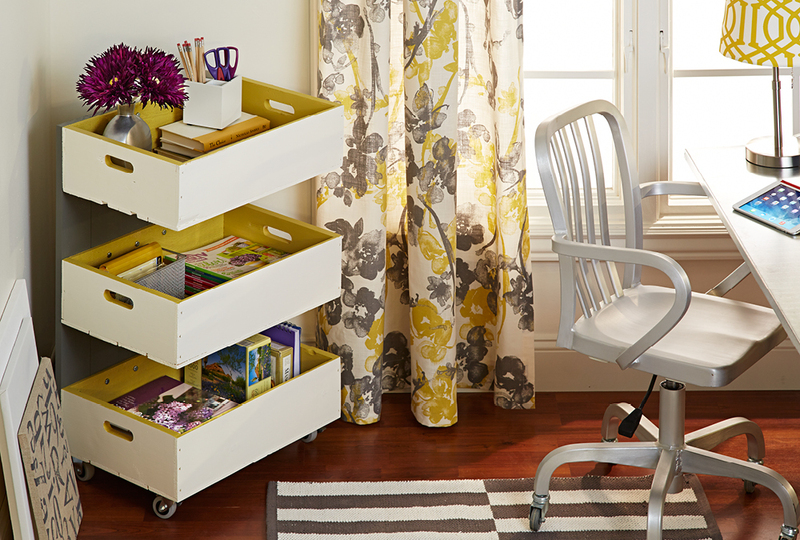 You voted for your favorite project idea, and now we’re sharing all the step-by-step instructions and makeover details for this wood crate storage cart. This sleek organizer will look good in any kitchen. 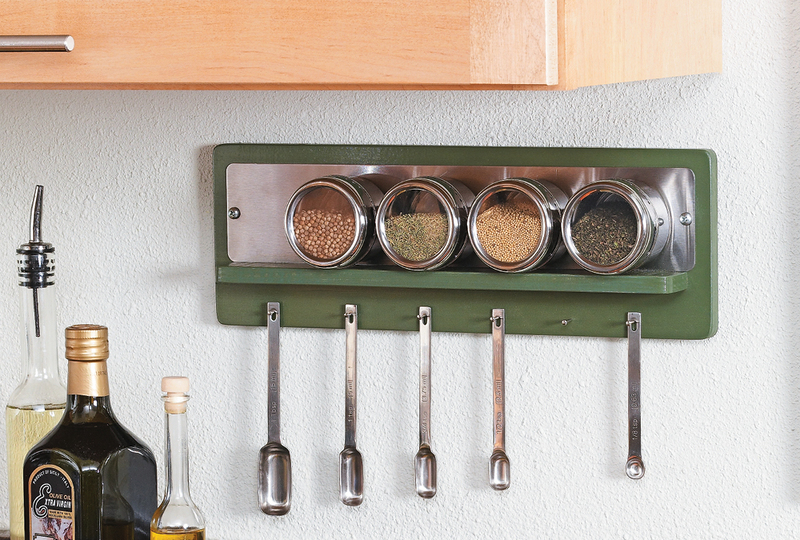 Make a DIY spice rack that clears up your countertop and keeps your most-used spices within reach. 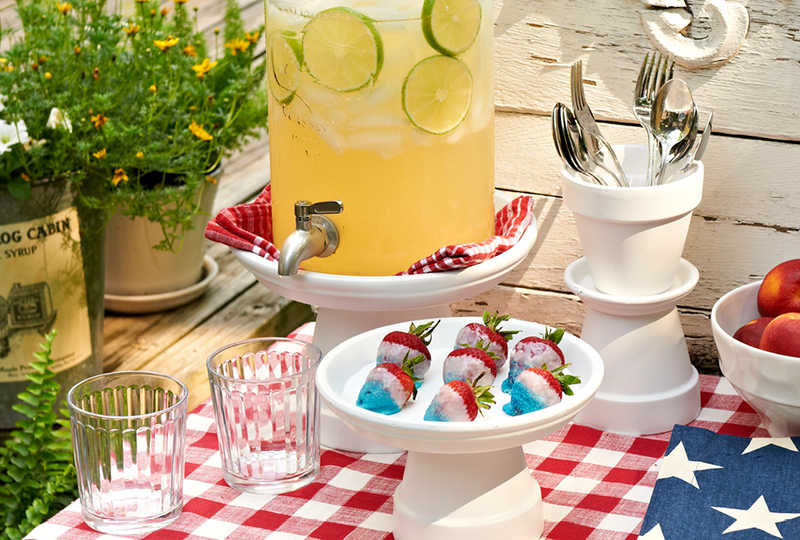 This cute DIY tray tackles the task of serving treats and drinks. 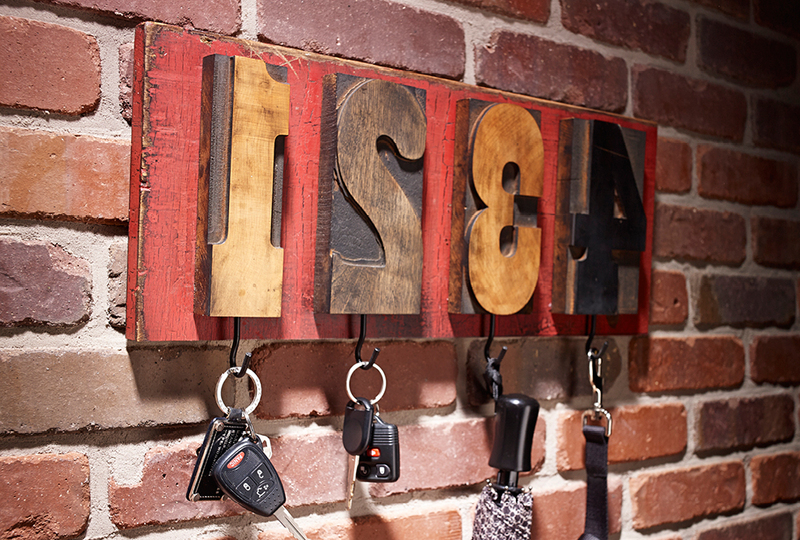 The best part: Since it's made of a cabinet door and hardware, it also serves as a conversation starter. 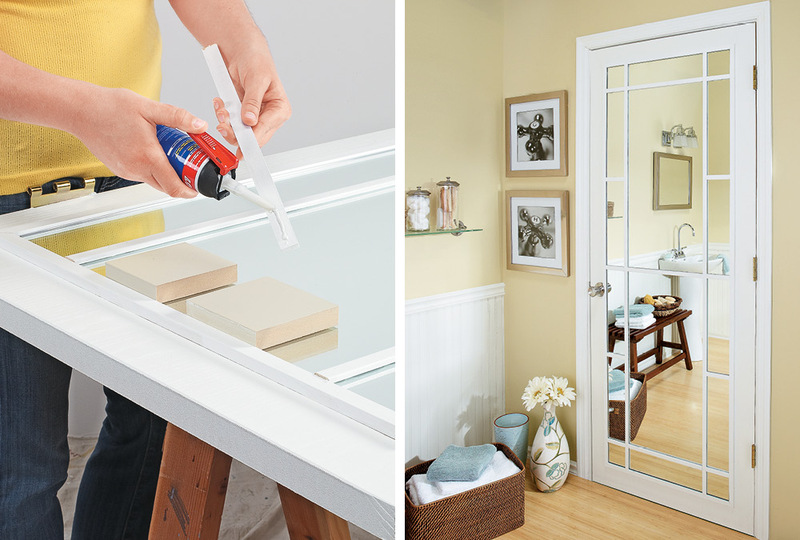 Create the look of a French door with a paned window by adding mirrors and some basic wood strips to a typical slab door. 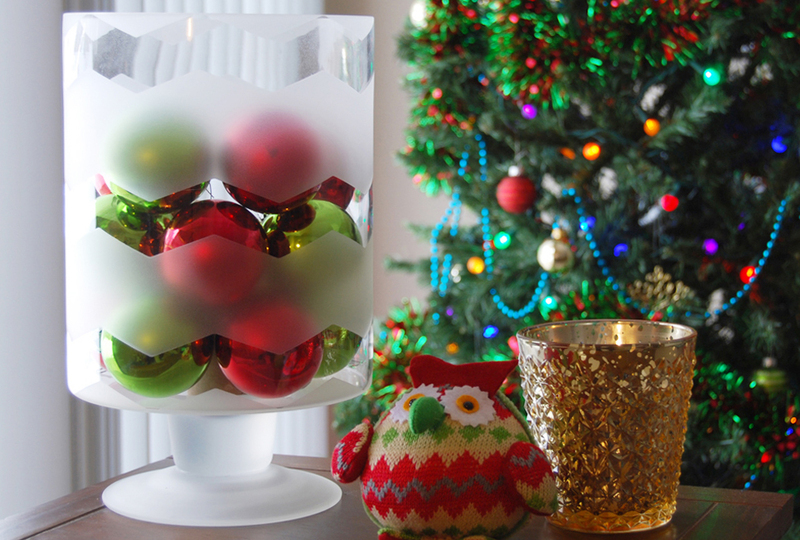 The result is as stylish as it is functional. 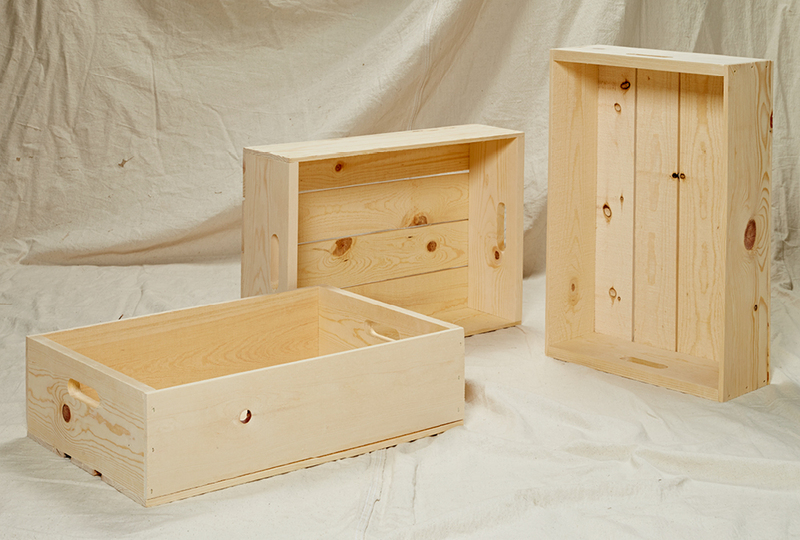 These wood crates are in need of a transformation, and we want you to tell us what they should be. Cast your vote! In a few weeks, we'll reveal the makeover. Short on storage space? 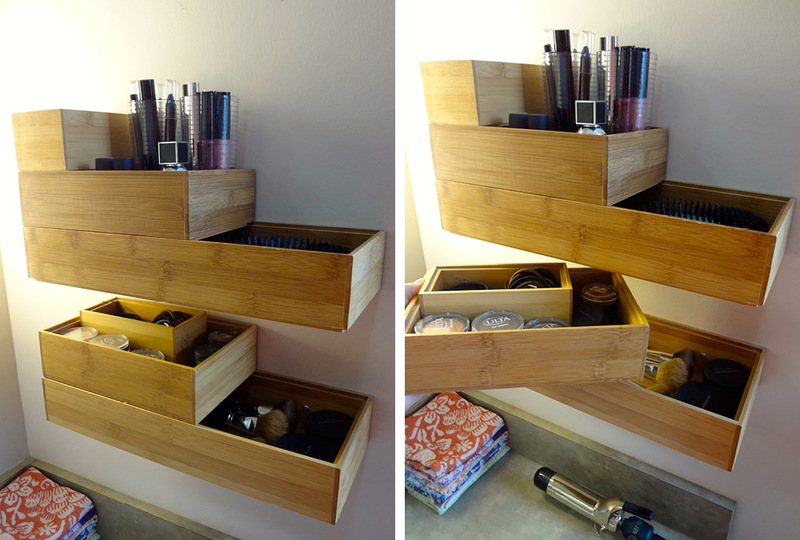 Turn bamboo drawer organizers into an easy-access, wall-mounted display. The best part is that the boxes stack, so you can store tons of stuff! 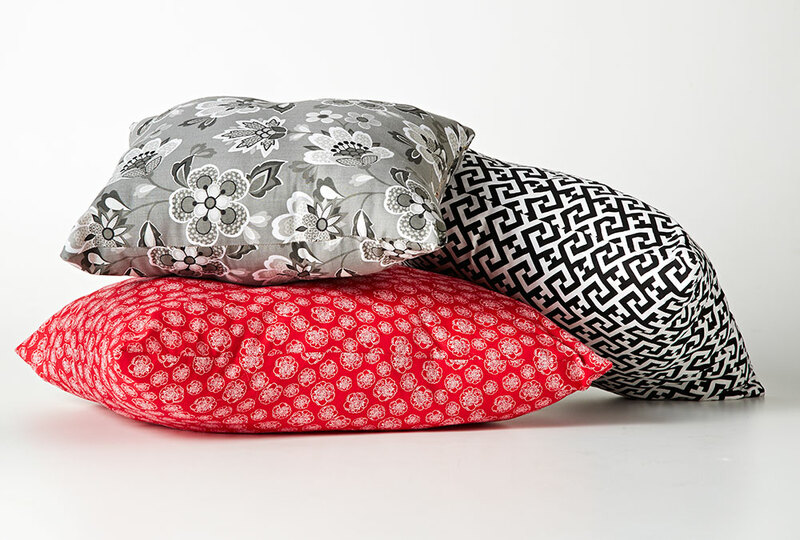 Making your own pillows is a fun and crafty way to get whatever look you like. It can be done on a minimal budget, too, when you try this clever source of stuffing! 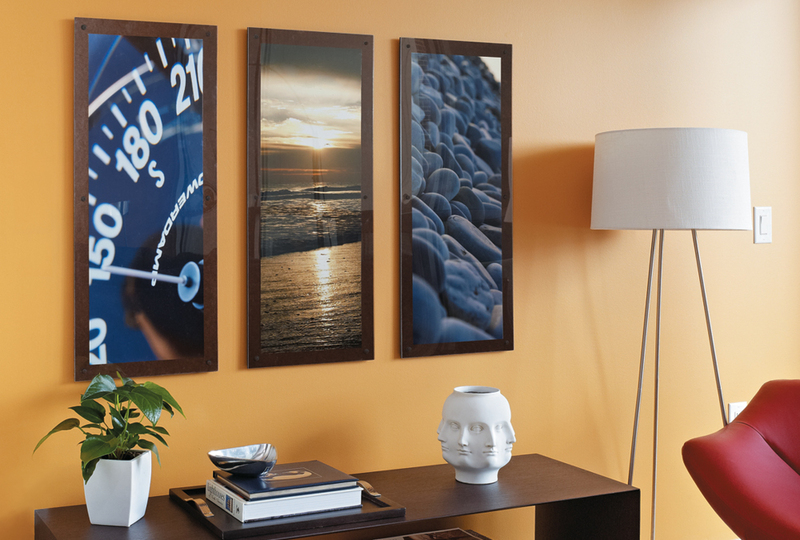 Who says you have to use only one frame to display a picture? 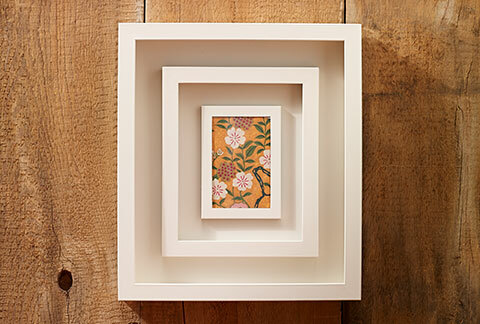 Layer and paint mismatched frames to create a stand-out look. 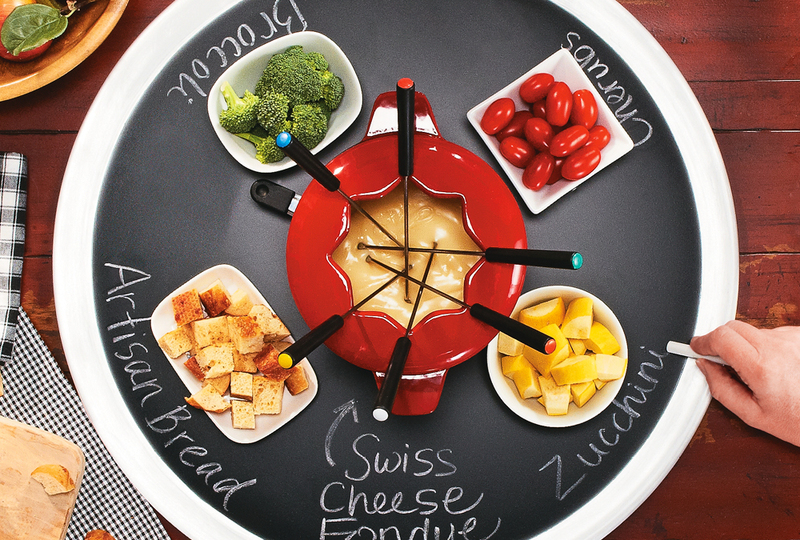 Chalkboard paint is as popular as ever! This specialty paint comes in all forms and colors, and can be used on almost any smooth surface.